Rob, who is an elder at Callander Kirk, as well as the Church of Scotland’s mission development worker for the east of Scotland, describes the aid as a “missional book using the arts”. Picture: Chris Coull. 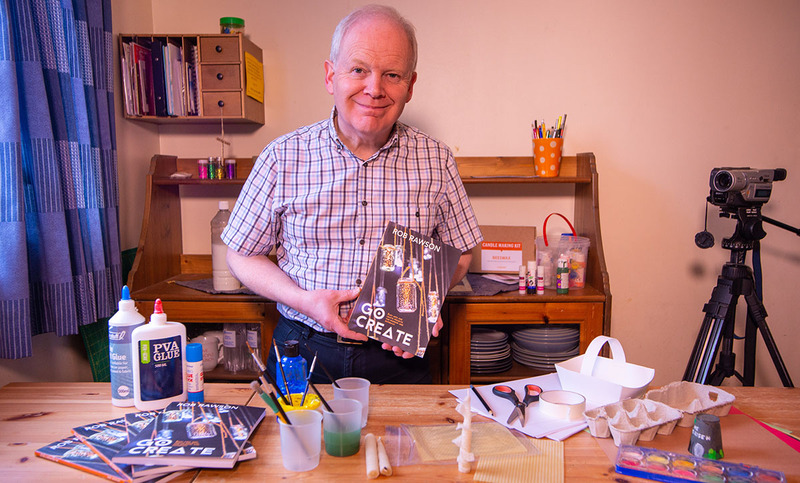 Go Create by Rob Rawson shows us how to express our faith with creative activities ranging from candle-making to flash mobs and everything in between. Rob, who is an elder at Callander Kirk, as well as the Church of Scotland’s mission development worker for the east of Scotland, describes the aid as a “missional book using the arts”. Originally from Manchester, Rob grew up in a creative household and believes passionately in the importance of engaging people’s imaginations. “My favourite project in Go Create is making beeswax candles for Advent – it’s very therapeutic”, he said. Another highlight for him is pancake art, which in Go Create is fittingly suggested as something to do during Lent . Overall, Rob hopes to foster a “can-do attitude” and wants to “give confidence” and support to anyone looking for interesting ways to reach out into their communities. “All of these activities can be done – everything I talk about in this book I’ve tried”, he said. “It’s about getting people involved,” he added. Rob is keen for people to use the book as a starting point for thinking more about outreach and hopes it will help people to generate new ideas. “I want people to take ideas from the book and adapt them to suit their church," he said. Rob says that writing his first book has been “a real adventure” and hopes that congregations will enjoy using the ideas. Buy your copy on the St Andrew Press website.